I recently had the chance to visit some of my family in northern Utah. What a beautiful part of our planet! It was great visiting with my aunts, uncles, cousins and meeting some new additions to our extended family. And I also ate some great food! 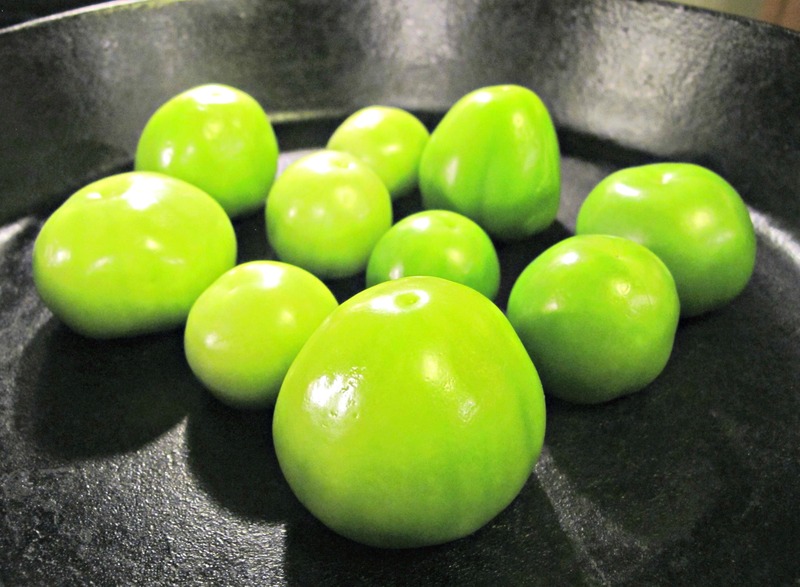 While at my Tía Juanita’s house, she served this salsa with breakfast. I asked her for the recipe and I was surprised at how simple it was to make. Three ingredients! OK, four, if you count the salt. 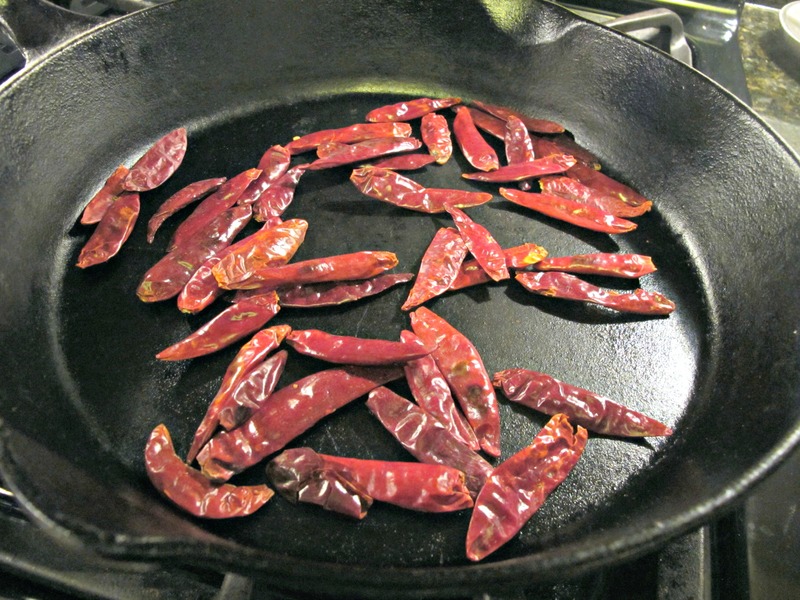 In a skillet over medium-heat, roast the chiles until they are slightly charred. 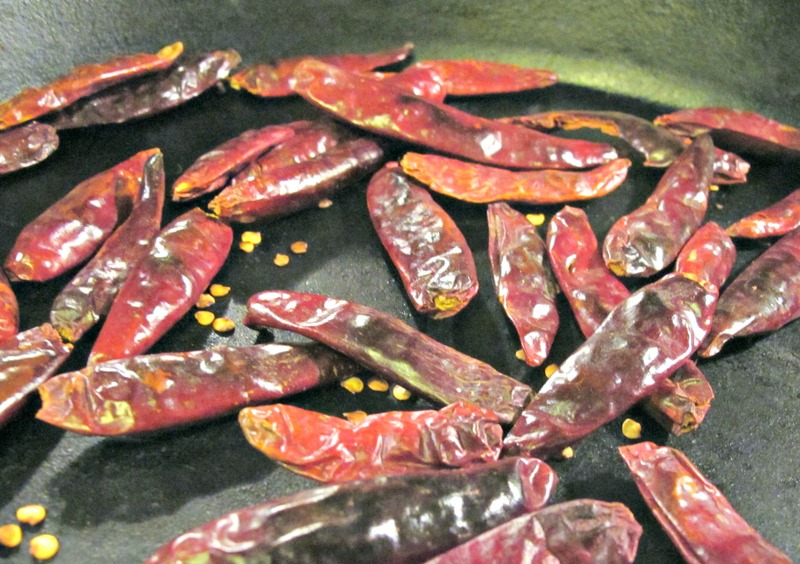 Stir frequently so the chiles roast evenly. Place in a blender. 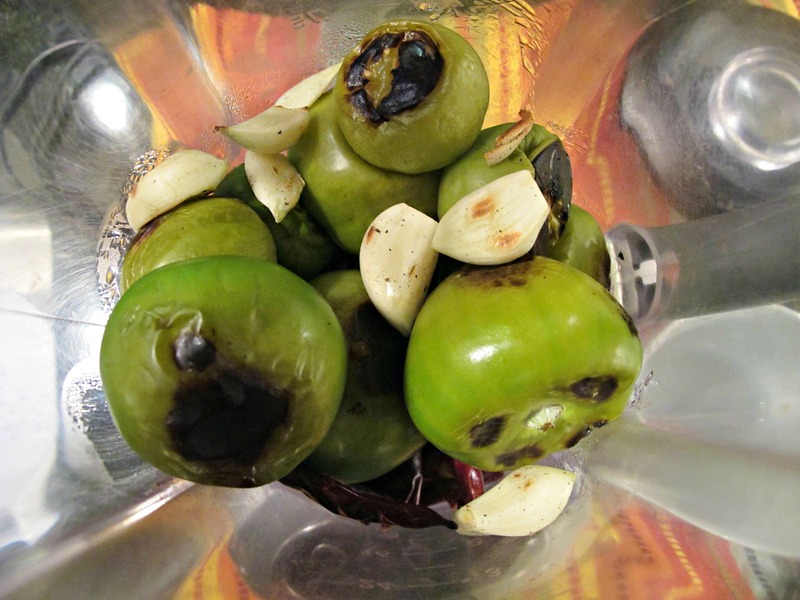 In the same skillet, roast the tomatillos and add to the blender. Do the same with the garlic. 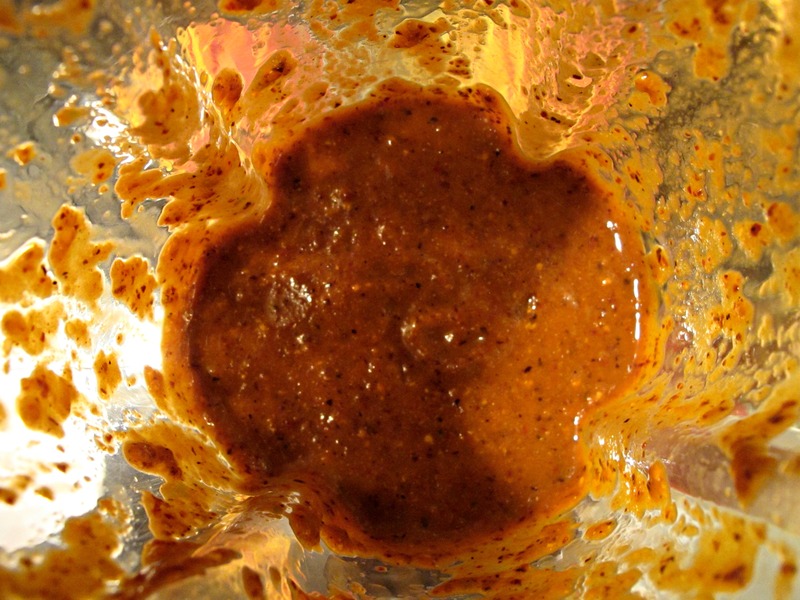 Purée the ingredients until smooth. Pour into a bowl and add salt, to taste. Serve. 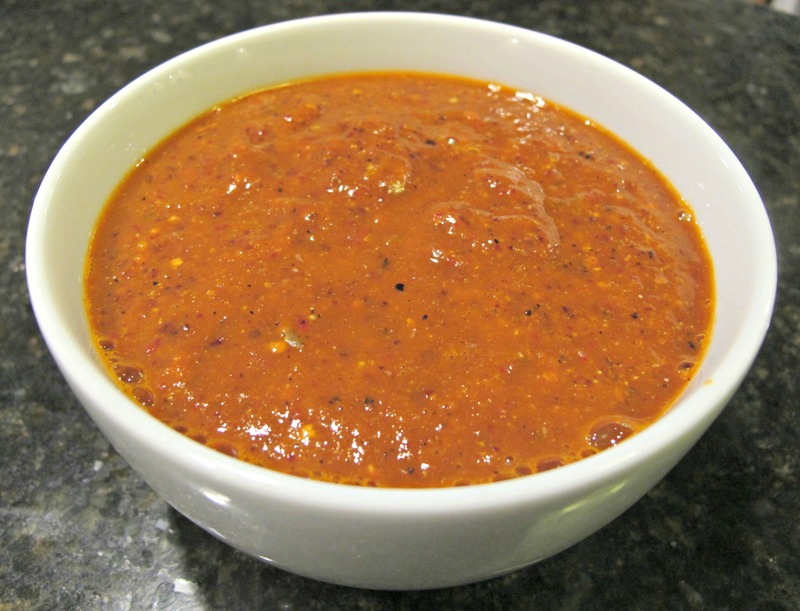 I’m glad you liked the salsa and my blog. I also enjoy reading and learning from your blog. I wish I had more time to try more of your recipes! I agree that the more I learn about Indian food from your blog and others, the similarities between Indian and Mexican cuisines. I have all the ingredients at home. You must have a well-stocked pantry! Something I try to do. You never know what you want to eat or make!